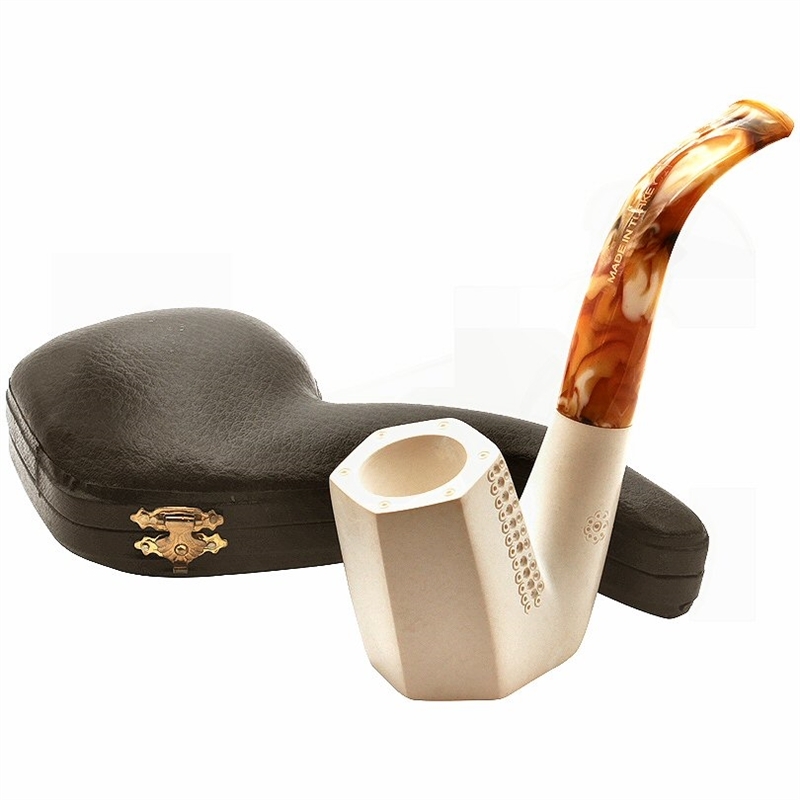 Deluxe Hand Carved Emin Sitting Panel Meerschaum Pipe - Bold and handsome, this sitting smooth panel pipe is carved by Emin. It sits firmly and is similar in style to an oom paul pipe. 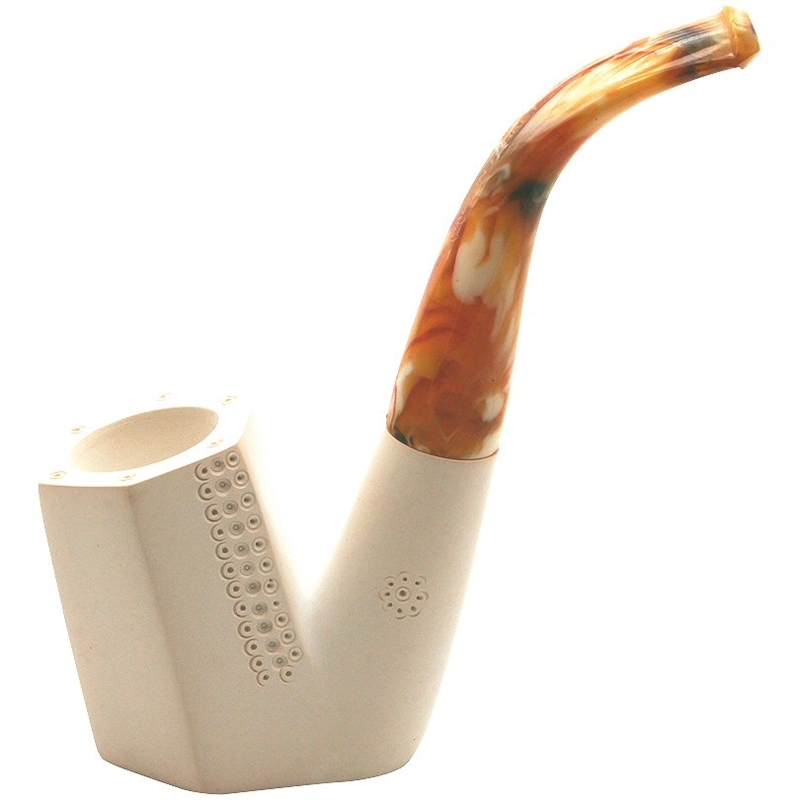 The pipe features touches of decorative lattice on the rim and sides of 2 panels. 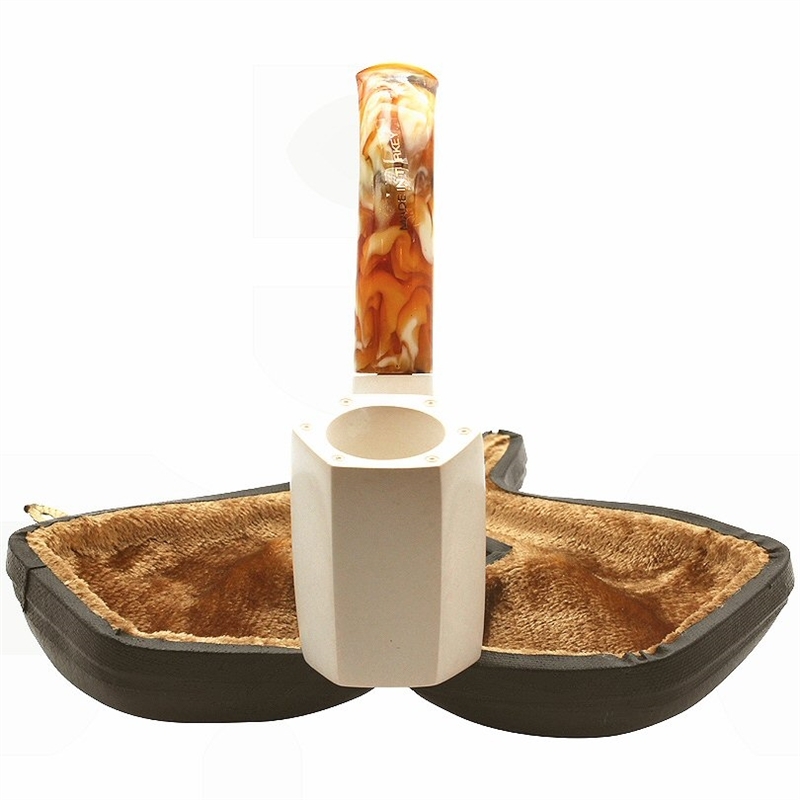 A special wax finish gives the pipe an off white, antiqued look. This is an older pipe from our collection. It is a fine work of art and will color nicely.